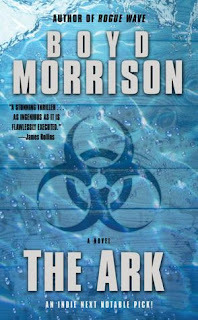 It's hard to believe that The Ark is Boyd Morrison's debut novel. The book has all the hallmarks of a blockbuster. The plot is good, the characters are believable, and the pace is frenetic. Morrison delivers with a believable hero. Tyler Locke is an engineering genius. An ex-army man as well as founder/partner in Gordian Engineering, Locke stands out as hero. Grant Westland as his Man Friday and best friend is also well etched. The plot basically involves a psycho billionaire cultist Sebastian Garrett trying to engineer Armageddon to push his own version of utopia post the Armageddon. Garrett is not your normal villian, he's an ubervillian; he's calm, suave and with pot loads of money. He also has the plan, a team and the meaness required to get any scheme of his through. The protagonist and antagonists are evenly matched with Locke, Kenner, and Westland on one side leading the good, while Garrett, Petrova and Cutter are evil personified. Both sides look evenly matched in access to technology and resources and it's a case of who blinks first throughout the book. The entire quest revolves around finding Noah's Ark. The quest embarked on by Dilara Kenner's father Hasad Arvandi which leaves him dead in the opening scenes of the book. It is followed by the death of his close friend Sam Watson trying to deliver a warning to Arvandi’s daughter Dilara at the LAX airport. What follows are multiple attempts on Kenner's life while she meets up with Tyler Locke to get his help in resolving the clues. Trying desperately to survive while trying to find out who’s out to kill them Locke & Kenner engage the formidable resources of Gordian Engineering while simultaneously trying to figure out the clues provided by Watson in his dying breath. The clues lead them to Sebastian Garrett who has somehow managed to create a biological virus capable of destroying everything in its path using the artifacts found during Harvadi' s quest for Noah' s ark and is planning on using it to engineer an Armageddon and thrust his version of the world on the remnants of the society. Garrett with his Holy Hydronastic Church plans to be the new age Noah, Hitler and Gandhi all rolled into one. Tyler & Dilara race against time to stop Garrett and also find Noah's Ark to discover the type of biological virus that Garrett is threatening the world with. Morrison also shows a complex depth to his characters by showing the friction between the Locke father and son and has left scope for developing the characters in depth in the future books. Verdict: Enjoyable. Read it if you are fan of James Rollins, Steve Berry and Matthew Reilly. 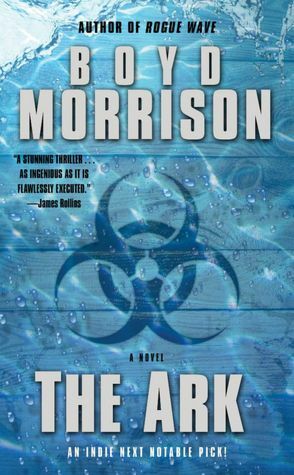 Morrison has found ways to fit in aspects of all there into one book and in the process delivered a stunner.